The monumental Mycenaean citadel, founded in the thirteenth century BC in a dominant and strategic position at the top of Aghios Andreas hill, is the first organised archaeological site on the island of Siphnos organised to be open to visitors. The fortification is a particularly sophisticated and complex system of defensive architecture that is unique in the prehistoric Aegean. During the course of the project, the greater part of the citadel was uncovered, revealing both the Mycenaean wall and the dense urban tissue of the Geometric and Archaic periods, including a large sanctuary and other buildings and streets, as well as an abundance of moveable finds. 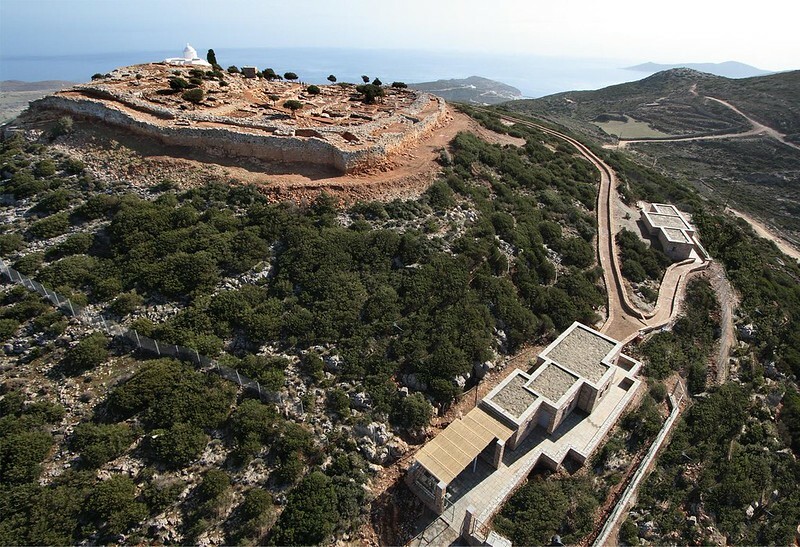 The final objective of the project was to create a fully accessible archaeological site that was suitable for visitors and which had facilities for the protection and enhancement of the antiquities, while ensuring that all constructions and interventions were designed and executed in harmony with the hill’s natural environment.